Two transformers near the harbor at the Vineyard Haven Steamship Authority terminal are perched on decaying concrete. The transformers provide electricity to the terminal and receive high voltage. One transformer block is held together with chains. Steamship Authority spokesman Sean Driscoll told The Times the block was struck by a truck sometime before this summer. Driscoll said last week the transformers belonged to Eversource, but the Steamship Authority fastened the chains. He said the block is structurally secure with chains binding it. 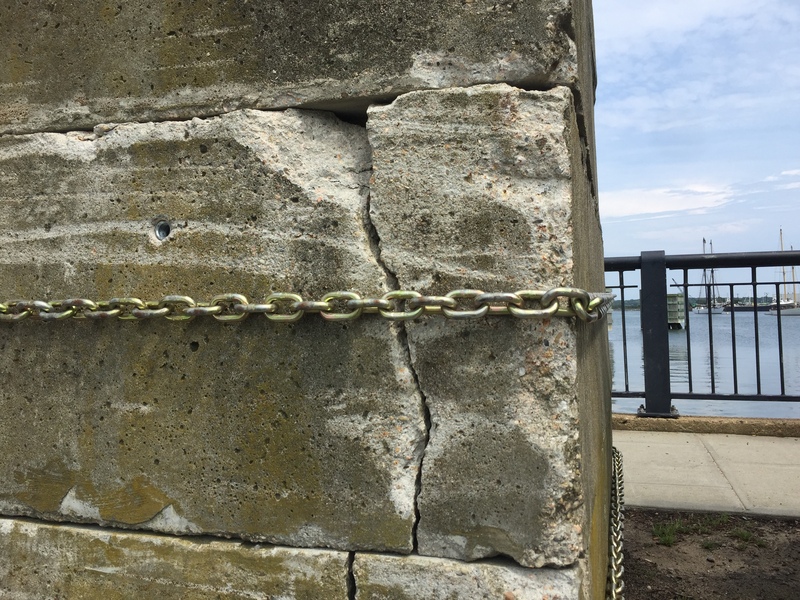 He expects it will be repaired with “epoxy and rebar” this fall. Updated to include further information from the Steamship Authority.